" My Horse Brooch is approximately 5cm in length. As with all my enamelled jewellery, I apply the enamel to each brooch separately, then fire it in the kiln. Handmaking my jewellery means that no piece can ever be reproduced exactly, so they all have small unique differences. 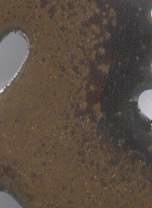 The small images show the colour range, click on them to enlarge them. 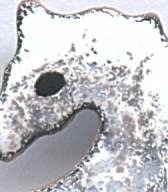 The Horse brooch has a plated metal brooch pin and is presented in a gift box. It may face in the opposite direction from the one shown."